Looking for private in-home or in-studio Bassoon lessons? Our Westborough teachers are ready to get you started. Find your teacher today! Check out some of our most popular teachers near Westborough, MA including Shrewsbury, Worcester, Auburn, Southborough and Milford. I've been teaching the bassoon for over ten years, and I love it. It is my main instrument as a performer, and in the last few years I've specialized in helping students switch to the bassoon from other instruments. Whether you've never seen a bassoon or you're preparing for a professional audition, I can help you with the intricacies of this wonderful instrument. I am a classically trained bassoonist with a Master's degree from London's Royal College of Music. I love finding each student's own learning style to tailor the experience, and I encourage my students to make their own decisions about musical expression (with plenty of guidance, of course!). In my work as a performer I have played with orchestras all over the world, from the South London Sinfonia to the Bombay Chamber Orchestra. My musical life is full of variety, and I think that the experiences I've had as a musician make me a creative and thoughtful teacher. if you haven't had time to prepare we can always have a productive lesson. We will learn simple tunes in the very first lesson, and I will always balance technical exercises with fun. (Though I do think a lot of exercises are fun too!) After a few months we will have a solid foundation of music theory and will have developed your music reading abilities considerably. We will have worked on a great technical foundation of scales and exercises, so that your fingers won't fail you. We will also be delving in to longer and more complex tunes, and considering the possibility of some form of casual public or in-home performance, for you to show your family and friends what you've learned! I expect students to have their own instruments and music. My daughter looks forward to her lessons and practices willingly. I found Cory to be friendly, knowledgeable, and helpful. She thoroughly answered questions I had and offered great advice. I am looking forward to my next lesson. A woodwind instrument in the double reed family that typically plays music written in the bass and tenor clefs, and occasionally the treble. Appearing in its modern form in the 19th century, the bassoon figures prominently in orchestral, concert band, and chamber music literature. The bassoon is a non-transposing instrument known for its distinctive tone colour, wide range, variety of character and agility. Listeners often compare its warm, dark, reedy timbre to that of a male baritone voice. Someone who plays the bassoon is called a bassoonist. The lessons will consist of breathing and finger techniques, learning notes and rhythms and how to read. Very quickly songs will be incorporated and as the student progresses we will work on learning scales and how to solo. I can help beginning students on bassoon learn the basics. My doctorate is in music and I have experience teaching music at multiple universities, as a public schools teacher, and as a private instructor. I have a doctorate in music and I suggest that all beginners start with the Essential Elements books. I customize lessons to individual needs and desires. I hope you'll consider booking with me today. Let's start your musical journey! I am a professional bassoon player performing in the Boston area, looking forward to teaching you! I received my master's degree from the New England Conservatory and my bachelor's degree from The Juilliard School. Hi! I am a professional bassoon player working in the Boston area and an Instructor of Bassoon at the University of Connecticut. I received my bachelor's degree from The Juilliard School and my master's degree from the New England Conservatory. My major teachers include Richard Ranti, Judith LeClair, David Carroll and Gregg Henegar. I work with bassoon students of all ages and levels. My approach to teaching is based on the philosophy and methods that have been passed down to me. 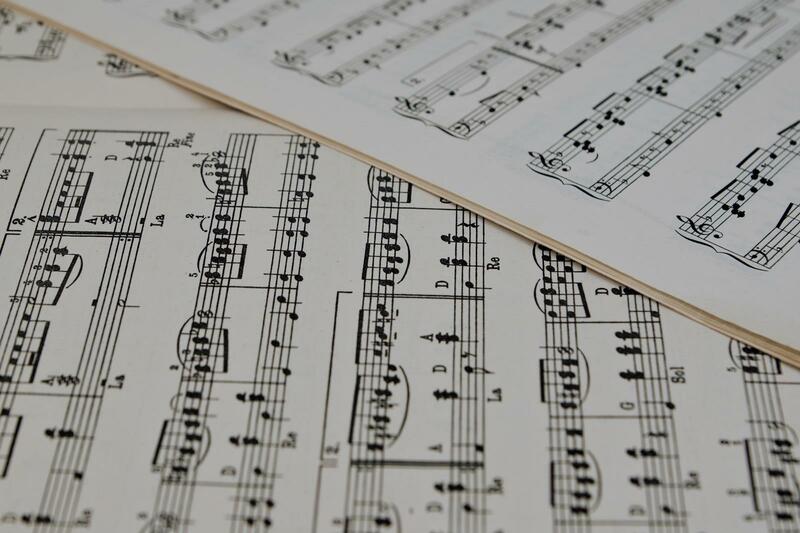 Balancing solo pieces and melodic etudes with technical etudes and exercises allows us to get a little closer to our goal of creating music that transports us to another place. Experienced Woodwind teacher of 7 years available for eager students of all experience levels and ages! Clarinet was the Primary instrument I studied while attending Ithaca College to receive my music education degree. While attending Ithaca college i required to become proficient in all woodwind and brasswind instruments. Further, I advanced my Bassoon skills by participating in an all campus Orchestra. and adolescents, while teaching private lessons. Michael was so friendly and so great with my son! Patient and nurturing and was a true pleasure. We were very happy! Best instructor ever! Michael tailors each lesson for my 10-year-old son--who honestly is a reluctant student. In three lessons Michael has improved his playing and also given him practical fun tips on how to practice between lessons. makes learning fun and is always positive and encouraging. Lesson content depends on the individual student, as I structure our time together depending on individual needs. Lessons can be relaxed or fast-paced, depending on what you desire to get from them. All lessons include some combination of warm-up, scales and basic exercises, and solo literature appropriate to level. For more advanced students, we will discuss basic theory and ear training. Hi there, I'm so glad you're here! I am a supportive and encouraging teacher willing to teach all ages and abilities. It is my firm belief that music is for everyone! I am currently pursuing my Master of Arts in Teaching at Rhode Island College. I studied Oboe Performance at Longy School of Music for a year before decidingto pursue education further (I love teaching too much!.) I completed my undergraduate work at Rhode Island College, where I studied oboe and bassoon privately. I am currently on the private lesson roster for two public schools in the area, and teach both double-reeded instruments. I have successfully helped young students prepare for and audition into district and all state level ensembles. My daughter had a great first lesson with Alyssa. She is looking forward to continuing in the weeks to come. This was my boys first lesson and they loved it. They were so excited after class. Telling me that it felt way to short and that they are eager to have more lessons with Alyssa. I’m also very pleased as she is a warm and welcoming person and I had an easy time communicating with her about what exactly I am looking for, our schedule, and also difficulties with entering our first lesson. The boys will definitely, and with joy, continue their music journey with Alyssa. I am an active performer and teacher of bassoon, and am still an active learner on my instrument. Lessons with me are fun, engaging, and informative on this unique and often difficult instrument. I strive for my students to love the bassoon and enjoy working on their craft, whether a beginning band student or an aspiring professional. I earned my Bachelors of Music in Bassoon Performance from Sacramento State University and am currently earning my Masters of Music in Bassoon Performance at University of North Carolina, Greensboro. I also can help with reed making and adjusting, I make all of my own reeds and have for years. Jack Fanning has been teaching the bassoon since 2015. He is currently available to teach lessons online, or at the student’s home (and is ready and willing to travel within the NC Triad area). Jack aims to make each lesson fun, enjoyable, educational, and informative. He has helped middle school and high school students win positions in youth orchestras and honor bands in California and North Carolina. Jack studied bassoon performance with Dr. David Wells in Sacramento, CA, and is currently studying bassoon performance with Dr. Michael Burns in Greensboro, NC. The tutelage of these great bassoonists fostered a love of music education and sharing the magic of bassoon playing with younger students. a young bassoonist is paramount; it is key to making great music and being successful from day to day. Jack is a friendly, encouraging instructor---a great match for my 11-year-old daughter. He's obviously an expert bassoonist, but does a fantastic job of explaining things clearly and simply for the less-advanced student. My daughter can't wait for her next bassoon lesson with Jack! Very knowledgeable and friendly, and a great communicator about bassoon technique. Today was my daughter’s first lesson with Jack - She learned so much and has some good assignments to work on before the next lesson. We totally recommend Jack as an instructor! My lessons are bespoke to you! It can be as fun or as challenging as you or your child wants! We can focus on one style of music, or mix it up a bit. We can even throw in some theory if you want. I'm a fun and smiley teacher who thinks everybody should be able to enjoy playing and performing music. I'm originally from the UK and studied at the RNCM, a music conservatoire in Manchester, England. I also have a British qualified teacher status, and a post-grad certificate in education. I have worked as a freelance bassoonist in the UK and Europe, including a tour with the European Opera Centre. I'm originally from the UK, and have been playing music in one form or another since I was a little girl. I studied at two music conservatoires in England: Guildhall in London and the RNCM in Manchester. During that time I studied bassoon and baroque bassoon, attaining a masters degree in solo performance. After that I completed a post-grad teaching certificate. Although bassoon is my first instrument, I am also a proficient clarinet player, pianist and singer. I have worked as a freelance musician in the UK and Europe, including touring with the European Opera Centre and a summer residency with the Dartington Festival Orchestra, Baroque Orchestra and Chamber Ensemble. tyle and it can be as fun or as challenging as you wish. In the past I have taught everything from adult beginners who just want to have some fun and get good enough to join a local band to teenagers studying music at a high standard, taking exams and performing regularly. Love this teacher. Catherine is so easy to work with. Can't find a teacher in Westborough, MA?